The New York Islanders acquired forward Jordan Eberle from the Edmonton Oilers in exchange for forward Ryan Strome. 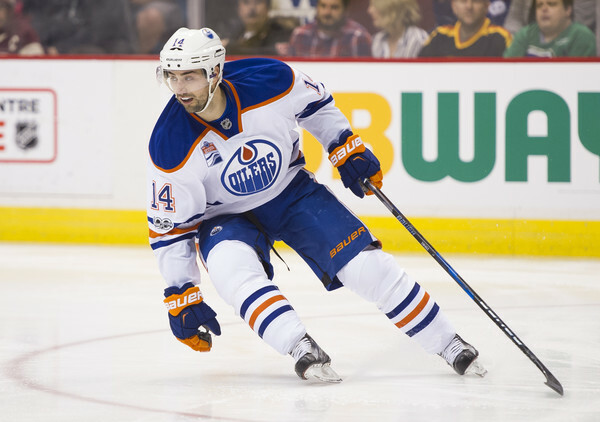 Eberle, 27, has scored at least 20 goals in each of the last four seasons for Edmonton. He has 382 points in 507 career regular season games. The 22nd overall pick in the 2008 NHL Draft has two years left on his contract with a $6M cap hit. Strome, who turns 24 on July 11, was the fifth overall pick in the 2011 NHL Draft. He had 30 points in 69 games last year for the Islanders and has 126 points in 258 career regular season games. He has one year left on his contract with a $2.5M cap hit. The Montreal Canadiens acquired defenseman David Schlemko from the Vegas Golden Knights in exchange for a 5th round pick in the 2019 NHL Draft. Schlemko, 30, had 18 points in 62 games last year for the San Jose Sharks. He has three years left on his contract with a $2.1M cap hit. The Carolina Hurricanes acquired former Blackhawks defenseman Trevor van Riemsdyk and a 7th round pick in the 2018 NHL Draft from the Vegas Golden Knights for a 2nd round pick in the 2017 NHL Draft. Dale did a great job wheeling and dealing like crazy to turn this team around. Stan took over at a good point when we were ready to win and needed to show restraint and let the group meld and do their thing. But I am thinking that Stan’s reluctance to do a deal now has us on the slow painful ride to mediocrity. I am fearing that he does not have the stones to “shake things up” they way he said he would after April’s fastest fold ever. Each day that nothing happens becomes less of a surprise. Stan could of traded TVR to canines. Got same deal. And knights might of took Kruger which would of dumped more cap. Pre expansion draft the option of trading TVR to Carolina didn’t exist. Because they couldn’t have protected him unlesss they were willing to expose another player to the expansion draft pool. Which they apparently were not. This trade only happened post expansion draft and is precisely an example of the great leverage Vegas has been able to work with. Edmonton made a solid move. They are on the cusp of elite in the Western Conference if anybody is paying attention. Rufus Rozival would have made them compliant without TVR. Guys quit acting like SB is a total moron. There was no deal for TVR before the draft because that would have meant that Carolina had to expose someone else that they did not want to lose. It’s not that complicated. I’m talking about why he would’ve needed a sweetner for Kruger i’m sure somebody would’ve given him something fir TVR. You’re wrong Ian. Not terribly complicated to see how this played out. Espoforever must’ve forgotten about the April, 1991 fold vs the North Stars. That one was worse because of the fact that Hawks won the President’s Trophy yet lost to the 16th place North Stars—who went on to win the Campbell Conference. Nah. Hawks won 2 games in that series. Oilers are trying to sign Kris Russel. 4 years and between 16 and 18 million. NUTS. Reports are that McDavid’s ask on his extension are 14 million. And they say theyll match any Draisatl offer sheet. Welcome the Edmonton Oilers to cap hell. The hawks didnt trade tvr for a couple reasons. First, despite being a bottom pair guy. His salary and experience are more valuable to the hawks right now than whatever compensation the Hawks would have received. Trading TVR doea nothing to get them compliant. Second, the Hawks had a deal in place with Vegas. See every legitimate source out there. After the trade freeze and after the expansion lists were submitted Hossa says he’s sitting out. That changes things. This was a couple hours before Vegas had to submit their list along with any trades that needed to be approved. The Hawks were no longer desperate to dump Kruger. The only way Vegas would have taken Kruger is if a player would have gone with him. TVR was that player. See the Clayton Stoner/Shea Theodore deal. The Hawks still want to trade Kruger. But theres a possibility they can get something back. 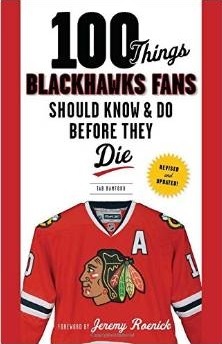 Theres also a possibility he stays as the Hawks are already down 1 penalty killer with Hossa’s absence. Stan pretty much said Carolina did NOT offer a 2nd rounder for TVR, pre expansion draft. I believe him. Carolina protected 7 forwards and 3 defenseman. The Hawks got a free asset in Darren Raddysh. Great signing. The right handed OHL defenseman of the year, who is 20, not 18 or 19. Pretty amazing signing while the rest of the NHL is focused on expansion and draft lists. Ernie what Bowman said about putting Hossa on ltir on the 2nd day if season probably means Kruger still goes to get down to the 75m cap limit before he goes on ltir. Then you gain some flexibility with relief. What I meant about TVR was Bowman didn’t to let him go for nothing the trade to Carolina was between LV and them nothing to do with Bowman. So would’ve traded him and got something for him unless he had a reason not to. Stan needs to fix the mess he created with expensive long-term contracts with no movement clauses. He overpaid for some players. Now he can’t move them . He needs to step up . Fix it . Bowman needs to drop around $3.5 M more in salary to be cap compliant to start the season. Ok day 2 they can move Hossa to LTIR, but until that point his contract is in the cap math. The loss of Hossa makes Kruger less expendable given his defensive gifts at forward and on the PK. So I’m not so sure Kruger is the guy on the move. But if he is then surely Stan will have to sweeten an offer with a good draft pick or prospect in order to entice another team. Since I am of the strong belief the Hawks are officially in NHL purgatory and Cup contention is a thing of the past, I still believe the smart move is to trade the one asset they have who carries trade value that can help fuel the rebuild on the fly. And that is Panarin. Tippet fired in Arizona. Kind of a bs move this late. The whole LTIR thing the second day of season is why you move Hossa’s contract. Or try like hell to. Thats what i was talking about the other day. That deal has value to a team trying to get to tbe floor…but not wanting to actually get to the floor. Its not as simlple as putting him on ltir. Theres games to play. Craig, regarding TVR. Carolina and everyone else knew the Hawks had a deal with Vegas so why offer the pick? When things changed it was too late. But what does a pick do for this team they need to deal cap space do for the Hawks anyway. And way more than the 825k hes making. Dave I damn well remember 1991. Though that is not relevant to my point that we keep hearing “something earthshaking” is coming and then nothing does. My comment had nothing to do with TVR being picked in particular, just an observation that Scooter’s Ultra-Conservative nature does not want to shake things up and that it might be time to do that. Ultimately the contracts to 19 and 88 (which set a precedent for others like 7 and 20) and the fact that HRR is stagnant are this team’s undoing. I think Bowman is going to see new options now because of Hoss thing. It might not happen at draft. So a re-build doesn’t look so sweet. A re-build is a LONG term project that would be hard in Chicago with it’s fan, the money train and two stars making 21 million. In baseball you can re-build, in today’s hockey cap world it’s hard unless you have takers for aging stars. They want-AND they can afford. If you mean re-tool on the run that’s different. But you would be looking at the next couple of years before the further age decline. Then with Panarin gone you would lose (combine with Hossa) 57 goals from last year. That’s hard to make up. Panarin is an asset, so give me a scenario that makes them better. GM’s don’t give away top 2 d-men that are young and really good-they would lose their job. Last was Seth Jones and that was for a #1 center, which is the other coveted chit. The question was why he needed a deal with LV not if there was one and the league was informed weeks ago of the Hossa situation so I doubt what we heard the last few days had any part making Bowman change gears on a deal this week. Why is it always Carolina? Ernie – there’s another reason the Hawks didn’t trade TvR (specifically to Carolina) before the trade freeze – they would have likely lost him to Vegas (or had to give up an asset to keep them away from him). There are lots of dominoes in play with all of the stuff that’s gone down in the last couple weeks and the Hossa news changed a few things but not all of them. Let’s not assume what we’ve seen & read thus far is concrete or complete. OK…Stan did something now! I’ll miss Hjammer and Panarin but this is getting us some more contract certainty.